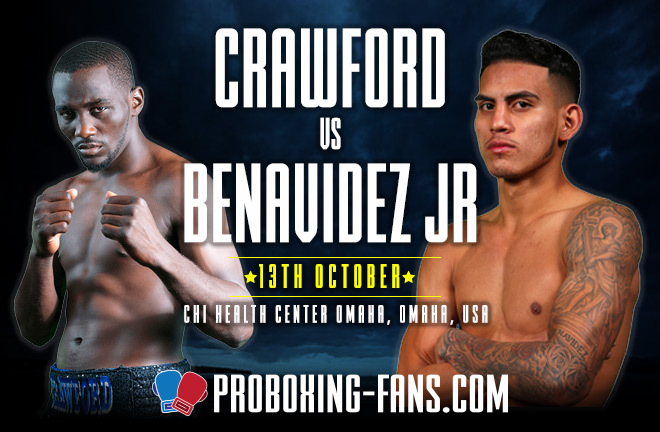 Terence Crawford (33-0, 24 KOs) takes on unbeaten challenger Jose Benavidez Jr tonight in Omaha. An interesting double-header will take place in different parts of the world tonight (Saturday, October 13 2018) with the return of WBO welterweight boss Terence “Bud” Crawford and WBO bantamweight champion Zolani Tete. Terence Crawford (33-0, 24 KOs) continues his assault upon the welterweight division against unbeaten challenger Jose Benavidez Jr. (27-0, 18 KOs). The match marks the first defense of his WBO strap since dominating previously undefeated Jeff Horn back in June to claim the title. 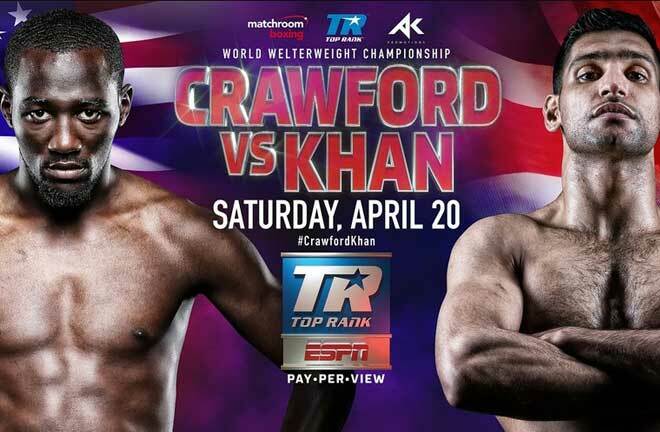 Crawford has enjoyed a slow but steady rise up the pound-for-pound rankings over the past several years and just inked a lucrative multi-year deal with promotional giant Top Rank last month. His lofty accomplishments are well chronicled having cleared out the 140-pound division, going 7-0 in the weight class and unifying four major world title belts enroute to superstardom. Omaha’s favorite son is now the gold standard in boxing with legitimate claim to being the single best active fighter on the planet alongside Vasyl Lomachenko. Benavidez, who is also promoted by Top Rank, is literally the biggest opponent that Bud has faced thus far. 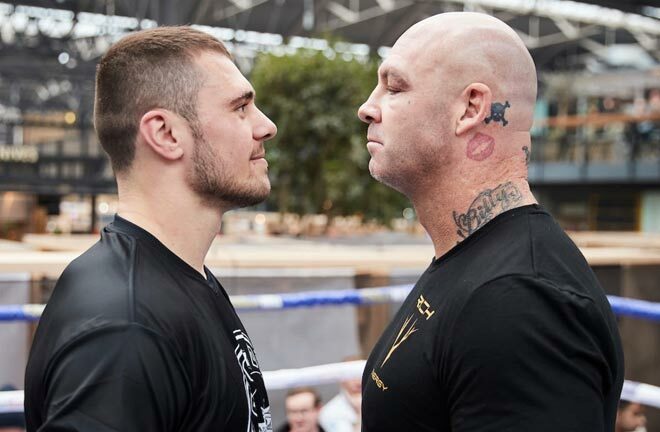 Their fight is a culmination of months of growing hostility between the fighters that began with a verbal altercation at a boxing event in Corpus Christi, Texas in February. 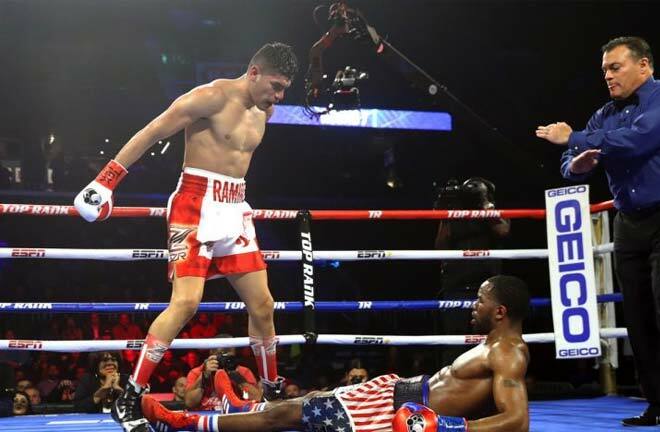 Benavidez approached Crawford and accused the champion of ducking him out of fear. 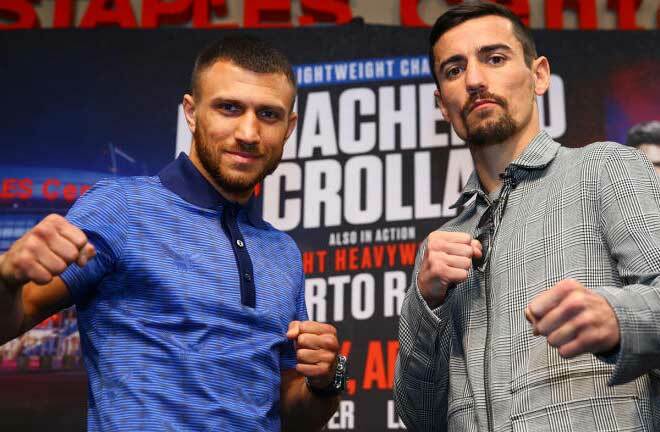 Reverberations from that incident were apparent during a recent teleconference to promote the fight, where Crawford challenged Benavidez to back up his bold words in the ring. Benavidez is coming off an impressive first-round knockout of Frank Rojas in June on the Crawford-Horn undercard. He has another notable win over Mauricio Herrera and is a former WBA interim super lightweight champion. After two wins at welterweight earlier this year, Benavidez put himself on the shortlist of contenders for Crawford’s first title defense. A win would certainly be the biggest of the Mexican-American’s career and an upset of monumental proportions for the entire sport. It is a big ask to expect the younger challenger to turn the tables on the champion in his own backyard. Not only is he facing an elite fighter but also an energetic pro-Crawford crowd under the scorching lights of a world title main event. 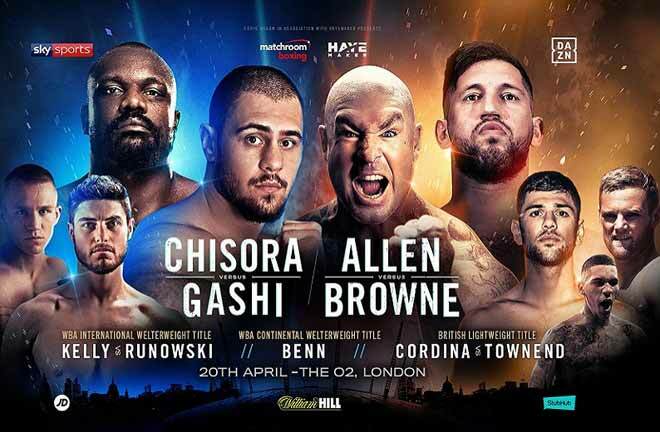 This fight is nothing more than the first instalment of Crawford’s new promotional deal as his team looks to pit him against even bigger names in the stacked welterweight division. South African Zolani Tete (27-3-1, 20 KOs) will meet Mikhail “Misha” Aloyan (4-0, 0 KOs) in the bantamweight quarterfinal match of the second season of the World Boxing Super Series (WBSS). The unseeded Russian Olympian Aloyan will enjoy home field advantage against the #3 Tete with the fight staged at the Expo Center in Yekaterinburg. The winner will face either Ryan Burnett or Nonito Donaire after those two square off on November 3. Tete burst onto the world stage when he knocked out Paul Butler in 2015 to win the IBF super flyweight title. Tete quickly capitalized on that success with a move to bantamweight, where he outclassed Arthur Villanueva for the WBO strap followed by two successful title defenses against Siboniso Gonya and Omar Narvaez. Gonya was blasted out in just 11 seconds; it was the quickest world title fight in history. Tete has just three losses on his impressive professional ledger with the last one coming at the hands of Robert Sosa 6 years ago in an IBF eliminator. The 29-year old Aloyan turned pro last year and is undefeated in just four fights with no knockouts. He is something of a national hero as a stand out two-time world amateur champion and bronze medalist in the 2012 London games. Aloyan got the nod to face Tete after a July draw and the fight was formally announced on August 6 at a press conference by the Secretary-General of the Russian Boxing Federation. A jarring observation is the fact that Tete is vastly more experienced than the Russian Olympian. Tete will also hold significant height and reach advantages over his shorter opponent. They both fight out of the southpaw stance and have demonstrated relatively decent chins although Tete has been dropped a couple of times and stopped once in his career. Aloyan is largely unknown owing mostly to his slim professional record and his last two outings were not very convincing. Aloyan has potential but the lack of experience and possible power will be his undoing against a skilled veteran like Tete, who is projected to meet the murderous punching Naoya Inoue in the finals. Crawford vs. Benavidez will air live and exclusively on ESPN and ESPN Deportes at 10:30 p.m. with the undercard streaming live in the U.S. at 7:00 p.m. ET. Tete vs. Aloyan will stream live on DAZN at 11:00 a.m. ET. In the UK the fight will be show live on Box Nation at 3:00 am BST.